Interestingly, Notion Ink is an OEM based in Bangalore that establishes tablets and surface computers. College students founded notion Ink. The OEM started as a startup, and the latest of their releases is the Notion Ink Able 10. Featuring the Win10 OS and a massive battery capacity, the tablet offers features that are way more than what could be expected of college students. The tablet’s model type is a 2-in-1 tablet. You’re getting engrossed, right? Let’s take an advanced look into the Notion Ink Able 10 2-IN-1 Tablet. The rear of the tablet has a smooth surface with top central location housing the rear camera. At the central portion of the rear, the “Notion Ink able” logo is spotted. The left side of the tablet consists of the USB 2.0 port, USB 3.0 port, micro SD slot, micro USB port, HDMI port, 3.5mm headphone jack and SIM slot. At the frontal, the top bezel occupies the front-facing camera while the bottom bezel gallantly beholds the Windows logo. Possessing a stalwart nature, Notion Ink Able 10 is fully wrapped a metallic unibody design. It has a weight of 655g which makes it heavy when held in hand. The tablet comes with a screen display of 10.1 inches, an enormous display screen size. The screen resolution of the device that handles the sharpness of texts and images is 1280 x 720 pixels. The rear has a primary camera of 2 megapixels for capturing photos and recording videos. It is to be noted that rear camera quality of this device isn’t impressive. The photo production is a far cry from excellent. Oh well, the notion that tablets aren’t good in cameras has once again manifested. The front-facing camera is also not good enough as it beholds a camera quality of 2 megapixels for taking selfies and also recording videos. The CPU on the tablet is a Quad core SoC processor that clocks at a speed of 1.4 GHz. The processor speed can increase its speed to a max of 1.8 GHz. That’s juicy, right? The chipset on the tablet is the Intel Atom x5-Z8300. 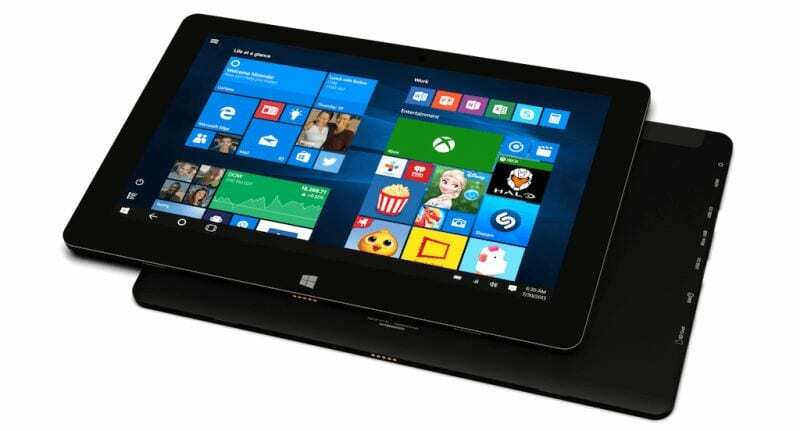 The tablet uses the latest Windows OS – Windows 10 as its operating system. It uses the 64-bit Windows 10 OS. Bluetooth v4.0, Wi-Fi Direct, Wi-Fi b/g/n and Hotspot are available on the device for connectivity. The tablet has a massive internal memory of 64GB. This takes proper care of storage of various forms of files and documents. The tablet also has a 4GB RAM to take care of smooth running of apps and multitasking. The battery unit of this tablet is electrifying. Notion Ink Able 10 is the kind of tablet you think of when considering a tablet with non-removable 8,100mAh battery. The price of Notion Ink Able 10 is Rs. 24,990. In the US, the tablet sells for US $400.